From smarter computers, robots and power grids to genetic advances and greener chemistry, UNL researchers are solving diverse problems with early career awards from the National Science Foundation and U.S. Department of Energy. These prestigious five-year awards support research by promising pre-tenure faculty. Eight UNL assistant professors won these awards in 2015-2016. Controlling certain materials’ polarization and other properties at the nanoscale could make electronics smaller, faster and less expensive. Physicist Xia Hong received a $750,000 DOE Early Career Award to upgrade equipment and hire researchers essential to that pursuit. Hong studies extremely thin ferroelectric films, meaning their polarization – the alignment of their positive and negative charges – can be reversed when exposed to an electric field. Combining ferroelectric films with other 2-D materials could produce reconfigurable electronic states that help her team observe new quantum phenomena and expand the versatility of technologies ranging from solar cells to transistors. Hong said her approach also could help overcome uncertainty inherent in manufacturing and testing nanoscale technology. 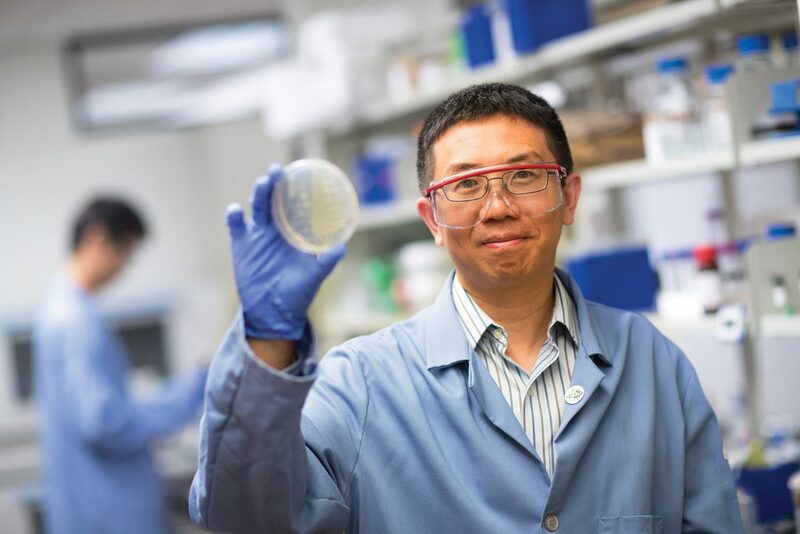 Chemist Jiantao Guo envisions expanding the genetic code to create innumerable possibilities for research and commerce, from developing pharmaceuticals to improving crop yields. 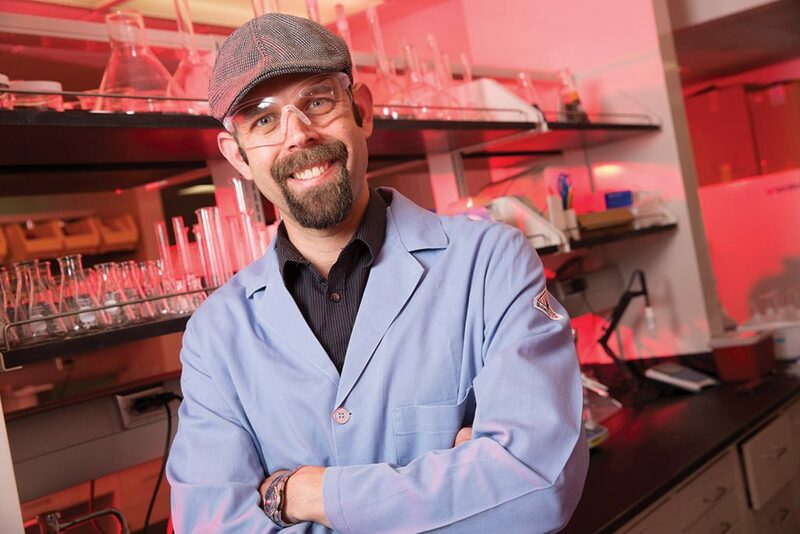 He earned a $622,000 NSF CAREER award to continue working on a promising new method for incorporating new amino acids into proteins. Organisms build proteins by linking amino acids, the order specified by the sequence arrangement of nucleotides, DNA’s basic structural unit. Three-nucleotide sequences, called codons, identify a single amino acid. Increasing from three-nucleotide to four-nucleotide codons would significantly expand the repertoire of potential amino acids. Previously, Guo created a tRNA, a molecule critical to linking amino acids together, that is capable of reading quadruplet codons. 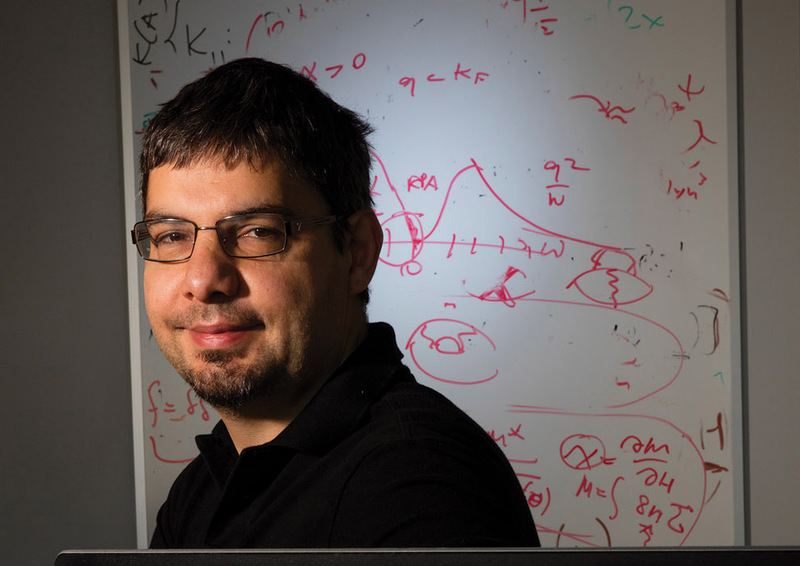 His discovery expands the potential to encode more artificial amino acids into living cells. With this award, Guo continues investigating quadruplet codon-reading tRNAs. Physicist Alexey Kovalev studies the fundamental properties of magnetic systems at the nanoscale with a $750,000 DOE Early Career Award. Kovalev’s theoretical research focuses on spintronics, which controls electron spin in addition to charge, to generate power and store digital information. His research could lead to developing ultralow-power memory devices for computers and other electronic devices. Today’s hard drives manipulate electron charge and magnetic spin to store information. Kovalev is investigating the strong spin-orbit interactions and interplay between spin and energy flows in magnetic systems. His work also could improve harvesting energy available in temperature gradients (or differences) to power electronic devices. Combining soft, organic materials with hard, inorganic ones could add important functionality to robotics and other emerging technologies. With a $650,000 NSF CAREER award, chemist Stephen Morin is crafting hybrid materials that could provide diverse properties for many applications. Morin is exploring how best to deposit rigid films atop the surfaces of elastic polymers. One challenge lies in the different thermal and mechanical properties of the two materials; another is melding a brittle material with something as elastic as a rubber band. Morin is especially interested in how stretching a polymer affects the harder material’s formation and structure. He’s already built adaptable patterns of microscopic crystals on rubber films and created elastic materials that become highly reflective when stretched. As solar panels and wind turbines proliferate, integrating these new energy sources into the nation’s power grid brings increasing challenges. 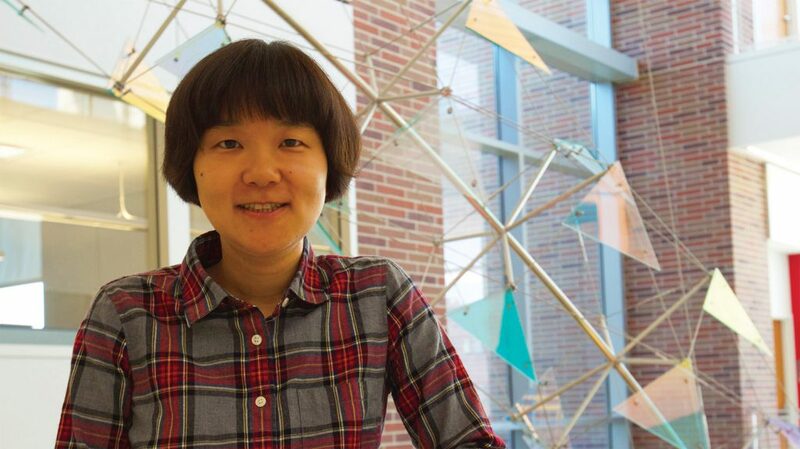 With a $500,000 NSF CAREER award, electrical and computing engineer Liyan Qu is developing a next-generation power grid transformer to enable renewable energy use. Electricity generated from renewable sources isn’t constant and requires a more advanced transformer to control the variable voltage. Qu’s device is made of a new composite material that will continuously control transformer voltage output, making transformers more flexible, improving renewable energy integration and helping to minimize energy losses. The magnetoelectric device also could improve other applications that use transformer technology, such as electric appliances, devices and motors. Qu is working with NUtech Ventures, UNL’s technology commercialization affiliate, to commercialize her technologies. How college students best learn science is well studied, but how faculty teach gets less attention. 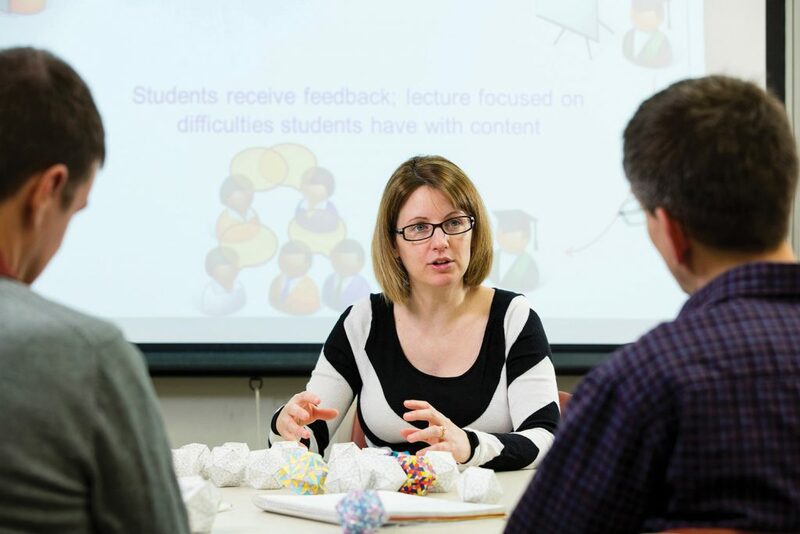 Instructors who adopt cutting-edge teaching methods improve student learning in science, technology, engineering and mathematics, or STEM, fields. With a $940,000 NSF CAREER award, chemist and STEM educator Marilyne Stains is researching university STEM teaching. Her study includes understanding what faculty know about new educational strategies, their beliefs about teaching and other factors that influence teaching choices, such as departmental educational norms and instructors’ career levels. She’ll follow faculty over time to determine how practices adapt to changing influences. She’ll use her findings to inform STEM faculty education nationally and to improve UNL programs that train faculty to better teach science. She’ll also help develop a teaching specialization program for UNL chemistry graduate students. To make electronics smaller, faster and more energy efficient, physicist Xiaoshan Xu earned a $590,000 NSF CAREER award. He’s investigating hexagonal ferrite, a nanomaterial with the rare quality of having both magnetic and electric polarizations. Harnessing that unique property could help shift electronics away from requiring an electric current, which uses energy and produces heat, limiting the efficiency an,d size of devices. 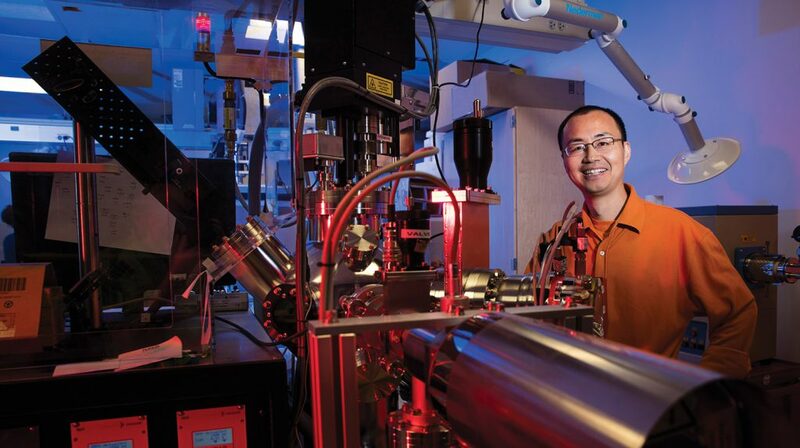 Previously, Xu helped discover the nanomaterial’s multiferroic properties. Now, he’s studying the fundamental mechanism underlying the coexistence of electric and magnetic properties and how to couple them for use in devices. The material’s multiferroic capability functions at a nippy minus 220 degrees Fahrenheit, so Xu also is investigating ways to raise its functional range to above room temperature. Producing clean energy fuels and other “green” chemicals using solar energy isn’t as sustainable as it could be. Solar-powered chemical reactions often require a catalyst made with rare and expensive metals. 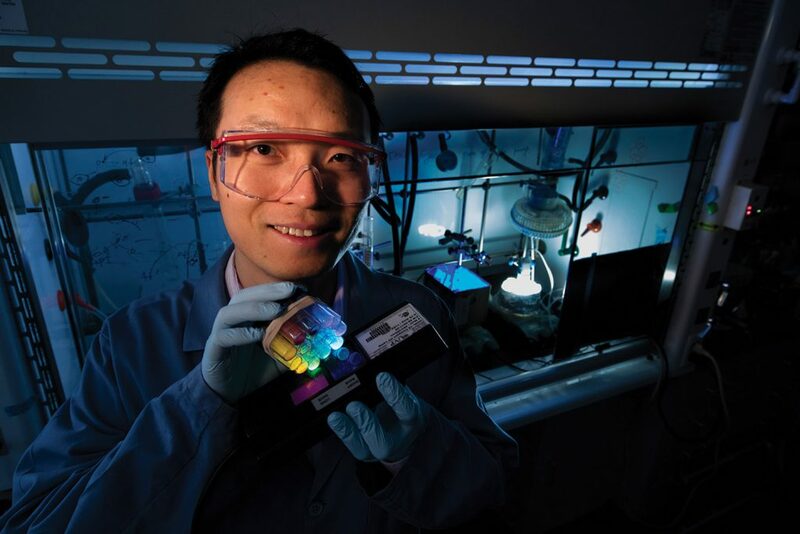 Chemist Jian Zhang developed a solar-powered, organic-based catalyst to facilitate chemical reactions. With a $527,000 NSF CAREER award, he is further investigating and improving its properties for industrial uses. The material, a type of porous organic framework, acts like a semiconductor, encouraging electrons to move when hit with solar energy. Industry could use the organic catalyst to develop more environmentally friendly products, including cleaner hydrocarbon-based fuels. Zhang also is investigating using the catalyst to break down lignin, an abundant plant-based carbon source, for use in creating industrial products, such as pharmaceuticals and biofuels.